Yesha leader warns that if destruction of Amona is not delayed, Obama will have a pretext to betray Israel at UN after US elections. As Prime Minister Binyamin Netanyahu attempts to explain to Secretary of State John Kerry the situation that led to the government announcing its intentions to build 98 new homes in the town of Shvut Rachel in Samaria, Pinchas Wallerstein, one of the leaders of Gush Emunim Movement for redeeming the Land of Israel and former head of the Binyamin Regional Council, said that the government should focus on delaying the destruction of the town of Amona. The Israeli Supreme Court ordered the demolition of Amona by December of this year, one month before President Obama leaves office, in response to a lawsuit by leftist organizations that the town was built on private Arab land, even though no actual owners have come forward. In an interview with Arutz Sheva, Wallerstein explained why he thought the destruction of Amona should be delayed. ''If they ask my opinion, the government's strategy must be to say that there is no solution, either in Shvut Rachel or on absentee land in Har Hazor, so they will ask the court for a delay of three or four months [to find a new solution.]" Wallerstein is most worried about the possibility that Obama will use the homes in Shvut Rachel as an excuse to abandon Israel at the UN between the November presidential elections and his leaving office in January. "Between November and January 20th, a [lame duck] President of the US who is not a great friend of Israel may choose not to veto a UN resolution establishing a 'Palestinian State' in Judea, Samaria, and east Jerusalem, and then we'll have a real big problem. Anyone who enters those territories without the proper authority will be seen as violating international law." Wallerstein said that while Israel cannot prevent Obama acting against it or not stopping a binding anti-Israel resolution at the UN during his final months in office, delaying the destruction of Amona and the consequent construction in Shvut Rachel would "at least not give the Americans a pretext to act against us." Wallerstein lamented that the construction of houses for Jews could be such a focus of the Obama administration when "it does not get so upset about what is happening in Syria or mass shootings or Boko Haram." 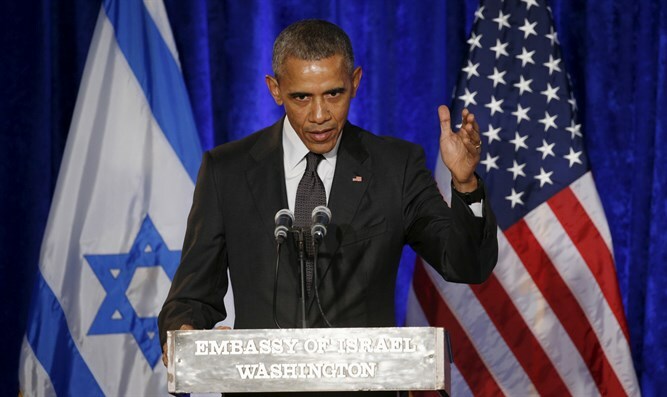 "Netanyahu has to find a way to appease him, or else."